New York City is one of the world's most famous metropolises. It is certainly the highest profile urban destination in the US. A center for culture and the arts, NYC is a great place to shop and dine out and is arguably the best destination for sightseeing and museum-going in the world. With so much to see, do, and experience across its five boroughs, New York City can be explored for days or even weeks. However, the city is also a great place for a weekend-long vacation. 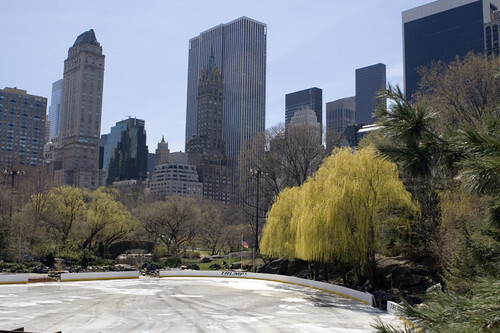 Here are some ideas for two-day getaways in the Big Apple. New York City has some of the most interesting restaurants in the country. You could go for haute cuisine or an upscale fine-dinging experience, or you could head to a neighborhood eatery for some heartier fare and a more-laid-back vibe. After dinner, you could take in one of the most popular itinerary items for Gotham visitors: a Broadway show. 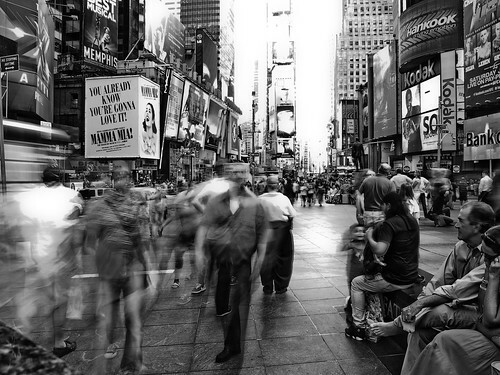 There is always something buzz-worthy onstage at the theaters along this famous Manhattan street. Just be sure to book well in advance or you might not get in. New York has some of the world's most impressive exhibit halls. Visitors can spend a whole week exploring the best museums in the city. But if you only have a short time, you can head to Museum Mile, an area opposite Central Park with a high concentration of museums. 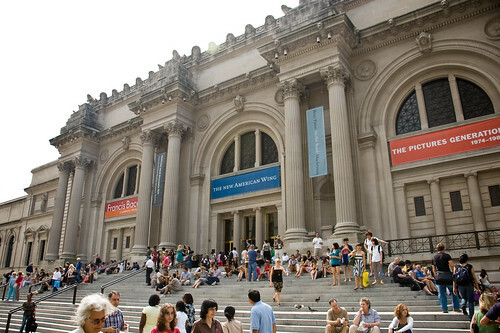 Venues here include the Metropolitan Museum of Art, the Museum of the City of New York, and the Guggenheim Museum. The famous American Museum of Natural History is also located adjacent to Central Park. In late October, the town of Lynchburg, Tennessee hosts the Jack Daniels World Championship Invitational Barbecue. This is one of the largest competitive BBQ meets in the world. It is attended by thousands of people, who come to sample some of the world's best sauces and meats. Other events are part of this festival, but the meat is, by far, the main attraction. Another food-centered festival is held in the South. New Orleans is home to the Crescent City Blues and BBQ Festival. New Orleans is arguably the best food city in the US, so the barbecue is bound to be tasty, as are other New Orleans staples that are served alongside of the meat. A craft show, art show and, of course, blues and R&B from the Delta area are also part of this fun festival. Midtown is a mecca for shoppers (and window-shoppers alike). Massive and massively-famous department stores like Saks, Bloomingdale's and others are located around the famous Fifth Avenue area. 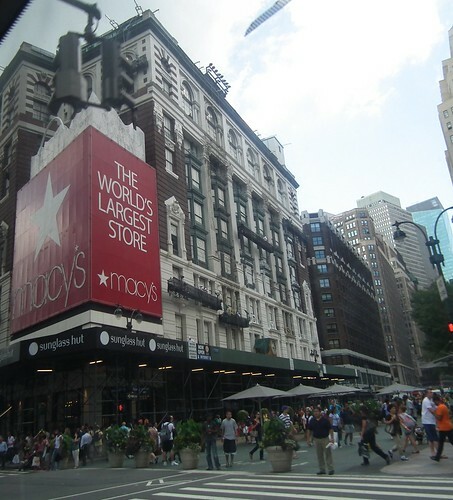 In the Theater District, the most famous store of all, Macy's, sits, covering a whole city block. If you have time, you can walk over the Times Square for some snaps of one of the world's most famous public areas in between your shopping adventures. 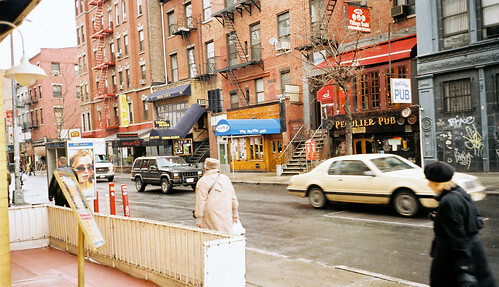 Canal Street and the Chinatown area in Lower Manhattan are the best alternative to Macy's and the expensive Midtown department stores. The Statue of Liberty has long been an important symbol of New York. Cruises offer a close-up view of Lady Liberty, and you can even climb up the inside of the statue. A less touristy, more interesting attraction is found on Ellis Island. Many immigrants came to the US were processed here. Now, a very interesting museum, which is focused on the many immigrants who came to the US over a century ago, is housed on the island. 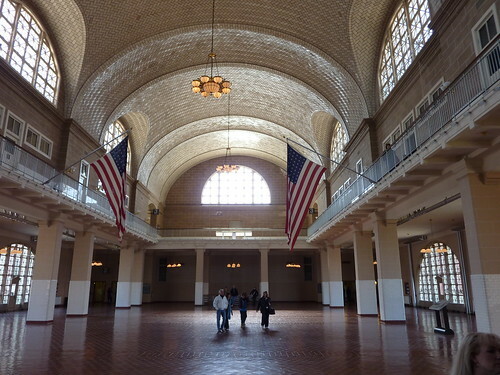 If your ancestors came to the US during the Ellis Island era, they most likely passed through the same hall that is now part of the museum.